Product categories of Electric Reach Truck, we are specialized manufacturers from China, Electric Reach Truck, Electric Forklift Reach Truck suppliers/factory, wholesale high-quality products of Narrow Aisle Forklift R & D and manufacturing, we have the perfect after-sales service and technical support. Look forward to your cooperation! 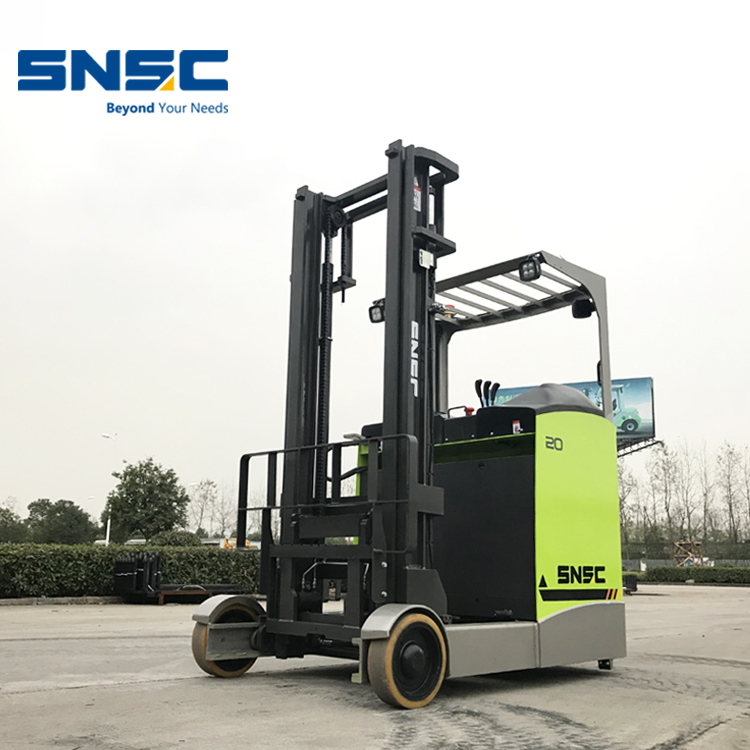 SNSC Electric Reach Truck has 1.6 ton and 2 ton capacity, can lift max 11M height, with German import mast steel, quality is very stable and reliable, we have two operation type: sit on operation and stand operation for customer choice, but same quality performance. The electric reach truck is mainly used in narrow warehouse channel, we can also customize 180 degree fork for customer working condition.